AY Mail is a desktop application designed to send bulk email to your customers or clients. 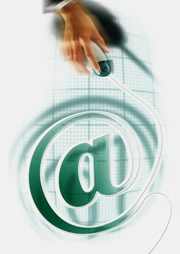 Thousands of businesses around the world have chosen AY Mail for their email communications. Take control over your mailings. You can fully customize your messages and precisely target your recipients. Save money. You only pay for the software once and can use it without any limitations and extra fees. It is very easy to start using AY Mail and send your first mailing. But with time, you learn how to use advanced features and take your emailing into a new level you never thought possible. Read deatailed description of AY Mail features and benefits. I have tested hundreds of applications, and after being a user of AY Mail for more than 3 years I can say it is a great software, easy to use, constantly evolving with improvements and not expensive. What else can we ask? Congratulations! AY Mail comes in three different editions to fit your needs and budget. Select the edition for you. End User License Agreement does not allow using AY Mail for spam.